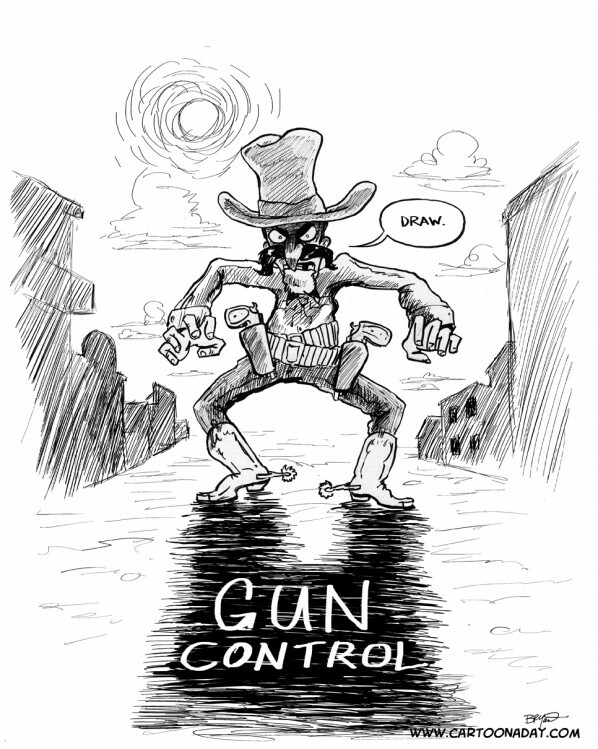 Today’s cartoon is about the cowboy/wild west attitude we have towards our right to bear arms, and its reflection in the tragic Saturday fatal shooting of six people, and the wounding of another 14, including a Congresswoman in Tucson, Arizona. The assailant, cleary unbalanced, was approved for handgun purchase, and used it with terrifying results. I don’t doubt our U.S. Right to Bear arms policy will come under close scrutiny in the near future, not to mention Arizona’s loose gun control laws. A political cartoon featuring a lone gunman standing in the middle of the street. 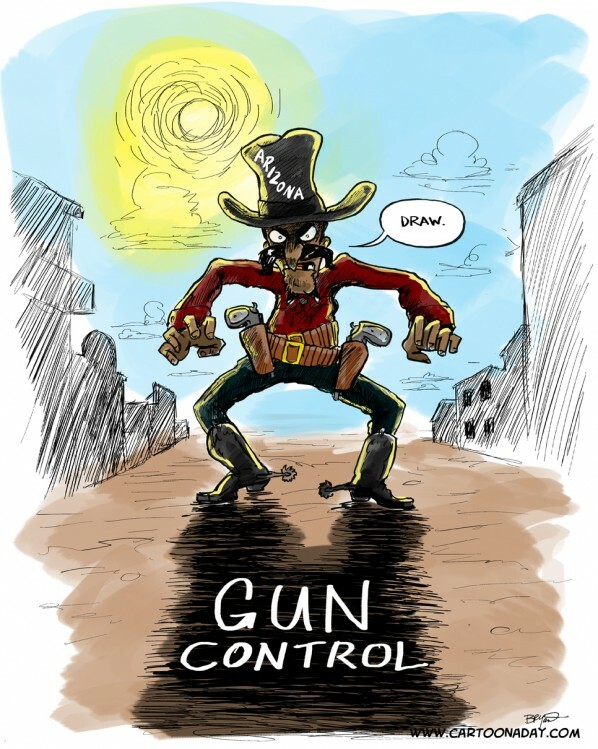 This gunman is a cowboy at high noon.